“Mrs Dickens is a good specimen of a truly English woman; tall, large, and well developed, with a fine healthy colour, and an air of frankness, cheerfulness and reliability. 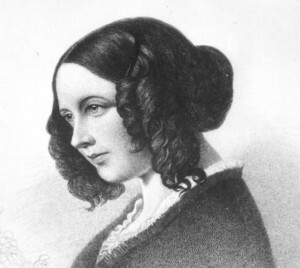 A friend whispered to me that she was as observing and fond of humour as her husband,” remarked Harriet Beecher Stowe recollecting when she and her husband dined with Catherine and Charles Dickens at their home. Alas, when Charles left Catherine, after 22 years of marriage, for his young mistress, Ellen Ternan, he deliberately cast his wife in an unflattering light. No longer would Catherine play the supportive role Dickens had reputedly praised. Moreover, in league with Dickens, as Rossi-Wilcox suggests, “loyalists pounced on any evidence that would make Catherine appear as an albatross around the genius’s neck, and from whom he finally had to free himself. She has been faulted for being an incompetent homemaker, a lacklustre companion, and a poor mother by many, including Dickens himself”. In one glass case there is a miniature of Charles Dickens on ivory with a lock of his hair pasted on the back, which Charles gave to Catherine upon their engagement. She in turn gave him the gold chain purse we see. The tortoise shell card case, placed nearby (not shown in picture), with mother of pearl inlay, was Charles’s present to Catherine upon marriage. The exhibition grants Catherine her own place in history. It rightly sheds light on her and also what life was like for many married middle class Victorian women who were Lady This or Mrs That but rarely Ms. In our time, Catherine would not be so accommodating; she might capitalise on his fame and become a celebrity chef. What do you think? The exhibition runs until the 20 November 2016. For more detailed information, please visit http://dickensmuseum.com/blogs/exhibitions/100668038-the-other-dickens-discovering-catherine-dickens; the house is decorated and furnished as the Dickens home might have looked, with memorabilia relating to Charles Dickens’ professional and personal life. Next door, in the adjoining house, are a gift shop and a pleasant café. Refer also to Lillian Nayder’s The Other Dickens – A Life of Catherine Dickens, Cornell University Press, 2011, and Dinner for Dickens – The Culinary History of Mrs. Charles Dickens’ Menu Books by Susan M Rossi-Wilcox, Prospect Books, 2005. This book includes a transcript of the 1852 edition of What Shall We Have For Dinner? by ‘Lady Maria Clutterbuck’, together with additional recipes in the appendix to the 1854 edition. The book was attributed to Lady Maria Clutterbuck, a pseudonym for Catherine, though the preface by Lady Clutterbuck in the 1852 edition is considered to have been written by Charles Dickens. 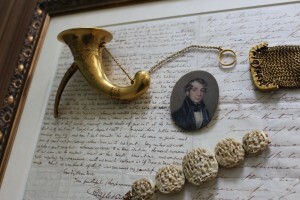 The images of Catherine Dickens and the mementoes are © Charles Dickens Museum.